Two Kings co-hosted one of the world’s first in-depth discussions on the application of blockchain technology to the real estate industry. 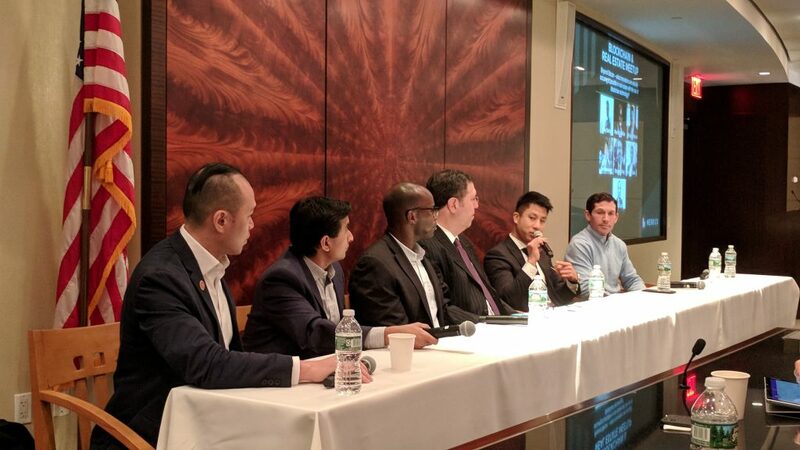 The panel consisted of leading experts from the industry, including brokerage, banking, law and title insurance, as well as the founders of several startups focused on employing blockchain technology in real estate transactions and data. The discussion ranged from the transformative aspects of blockchain technology to the obstacles and challenges of achieving widespread adoption by an old-fashioned industry. Nest Seekers’ Ryan Serhant, of Million Dollar Listing, reminded the audience that New York City real estate has long been viewed as a safe store of value for fiat currencies, much like a cryptocurrency. The event was co-hosted with the Asian Real Estate Association of America. Two Kings is committed to innovation in real estate and continues to seek opportunities to apply these insights to its investments and operations. Two Kings principal Manish Shah presented at a career panel hosted by the Rutgers Center for Real Estate at Rutgers University in New Jersey. Manish was joined by senior executives from several of the largest real estate investment firms in the tri-state area. The audience was primarily MBA students and alumni. “We are happy to do our part to provide mentorship and guidance to the next generation of leaders,” Shah said. For more information, contact Two Kings at info@twokingsrealestate.com. Two Kings is co-hosting an upcoming event on the innovation of blockchain in real estate applications. Two Kings announces the addition of several prominent investment professionals to its Advisory Council. Two Kings’ newly formed Advisory Council will provide guidance on macroeconomic and market-level topics, including economic growth, interest rates and trends in specific asset classes. For additional information, please contact us at info@twokingsrealestate.com. Two Kings announces the launch of Empire Holdings, its vehicle for investing in the superior long-term potential of real estate in the New York City area. Empire Holdings aims to produce consistent dividends while maximizing the overall return of the portfolio by increasing cash flow, capturing appreciation and compounding gains through tax-deferred exchanges of sale proceeds. Two Kings created the holding company in response to the principals’ desire for regular distributions from a stable of high-quality assets with strong growth prospects. The holding company was launched with a portfolio of existing properties generating current income and with significant future upside. Two Kings is actively seeking new acquisitions to expand the portfolio. The holding company structure benefits from recent changes to the US tax code, including additional deductions on pass-thru income and capital investment. Two Kings believes this is consistent with policy goals of encouraging reinvestment into local communities. As with every investment, Two Kings maintains a rigorous approach to acquisitions by seeking properties with multiple triggers for creating value and above-average appreciation. This approach is underscored by a willingness to exhibit patience with assets that still have untapped potential. Parties with suitable acquisition opportunities are encouraged to contact Two Kings at info@twokingsrealestate.com.